Analog Artist Digital World: Weekend Top 6 Picks for April 30th and May 1st. 10am to 4pm Free. Seventh Annual Hannibal Square Heritage Center Folk and Urban Art Festival. Hannibal Square Heritage Center 642 W New England Ave, Winter Park, Florida. The annual festival celebrates culture and diversity through art and music. More than 25 Florida artists offer their works for sale, including members of the original Florida Highwaymen and the B-Side Artists collective. There’s music by the Porchdogs Cajun and Zydeco Band and Orisirisi African Folklore. A “Kid-folk” workshop culminates in a public parade. Food trucks. Noon to 8pm Free. Earth Fest. Secret Lake Park 200 N Triplet Lake Dr, Casselberry, Florida. The City of Casselberry and Casselberry’s Friends of the Park will be hosting the 7th annual “Earth Fest 2016” , Seminole County’s largest Earth Day event!! 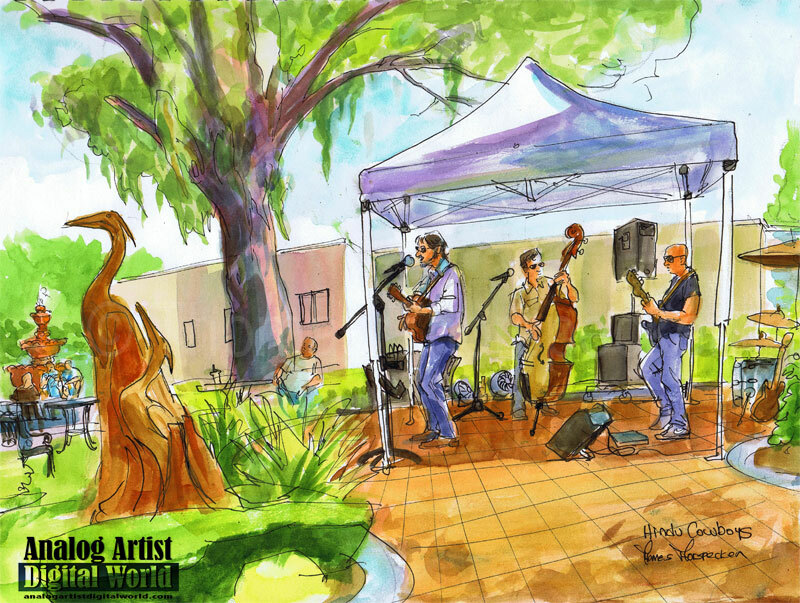 The celebration will be held on April 30th, 2016 from 12 Noon till 6 PM, followed by EarthFest Jam concert from 6—8 PM, at its new location in Secret Lake Park-Casselberry. Our goal is to provide a positive venue and unique opportunity for participants to learn about their environment, while sponsors, vendors and artisan’s showcase their Earth-friendly products and services. Earth Fest 2016 is a FREE community sponsored event. 7pm to 9pm $30 per person. Price includes all paint supplies, canvas and a free glass of wine. Wine and Paint Social. Vinyl Arts Bar 75 E Colonial Dr, Orlando, Florida. Join us for some wine and painting. This is a fun and interactive experience where you get to be the artist. Guided by a professional artist, you'll get to paint your own piece of artwork and bring your canvas home with you. This event is great for couples, girl's night out, or just a group of friends wanting to socialize and meet new people. Please arrive 15 minutes early. The painting begins at 7pm sharp. Bethany Myers is an Orlando artist best known for her brightly colored blind contour paintings and also works in photo realism, mixed media and line drawing. She has taught art to elementary school kids, senior citizens and all ages in-between. Project driven, Bethany has painted street art boxes for the Mills50 organization in downtown Orlando and completed a project in which she produced one painting a week for a year. She is currently working on a mural for a local women's/children's shelter. 1pm to 4pm Free. Music at the Casa. Casa Feliz 656 N Park Ave, Winter Park, FL. 2pm to 4pm $40 The Taste at I-Drive 360! I-Drive 360, Home of the Orlando Eye 8445 International Dr, Orlando, Florida. The Taste at I-Drive 360, will benefit Esophageal Cancer at Florida Hospital. Come and enjoy samplings of food from 9 restaurants featuring a variety of flavorful bites while enjoying all of the attractions the I-Drive 360, Home of the Orlando Eye has to offer! 2pm to 4pm Free Yoga. Lake Eola Park, 195 N Rosalind Ave, Orlando, FL near the red pagoda. Every week.